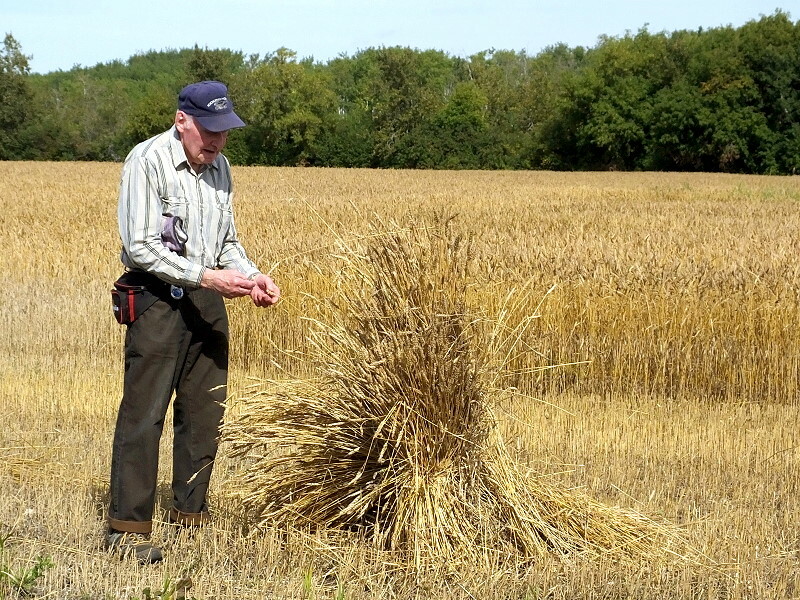 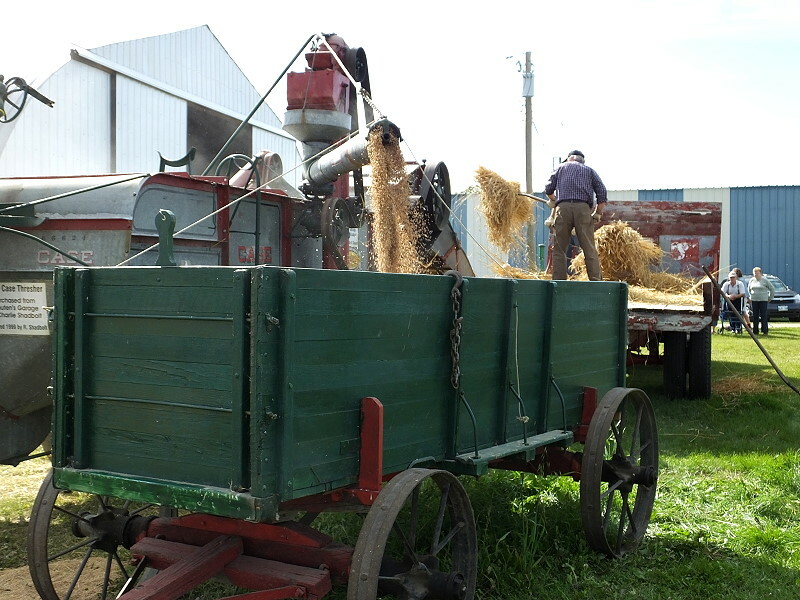 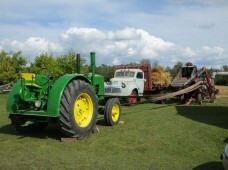 The Swan Valley Historical Museum held their annual Harvest Festival on Sunday, August 31, 2014. 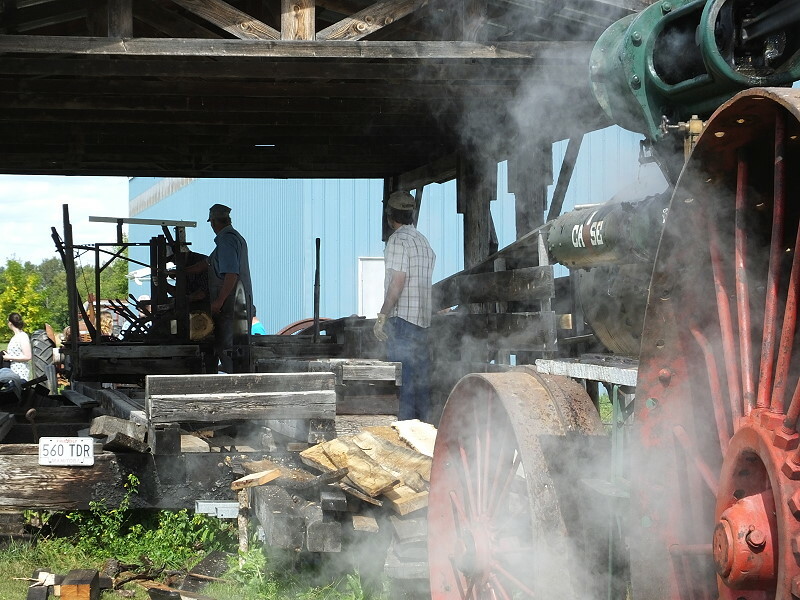 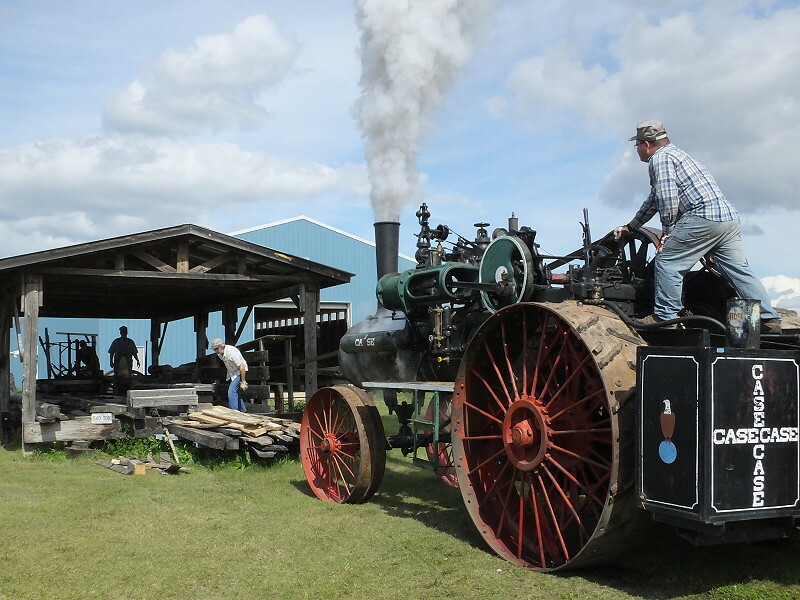 Many people stopped by to enjoy a sunny afternoon and a taste of yesteryear with fresh bread, ice cream from the general store and rides in the Model T.
This was the first year that the steam powered tractor was used to run the large saw mill. 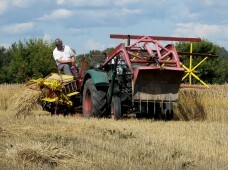 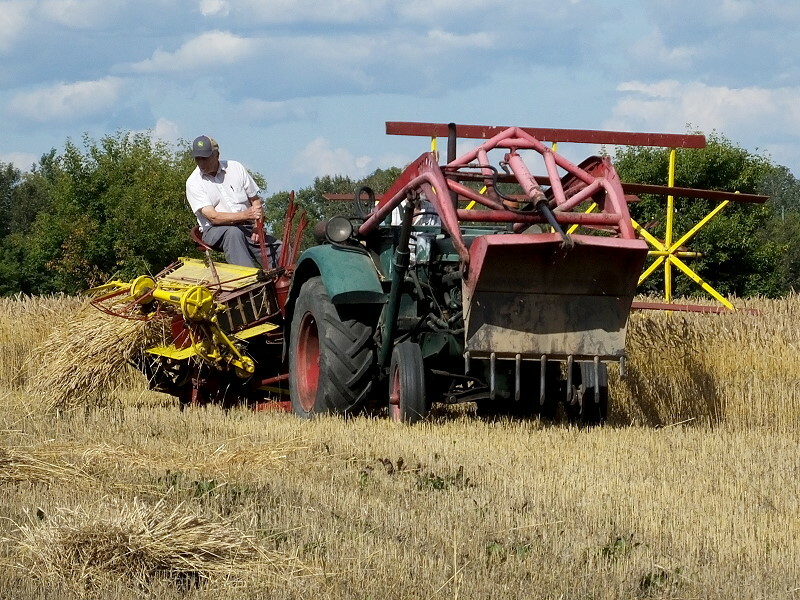 It was a a good demonstration of the extra effort and skill that was required to operate this old machinery. Ray and Leona Seib are pictured with the tractor Ray purchased in 1948 when he was only 18 years old. 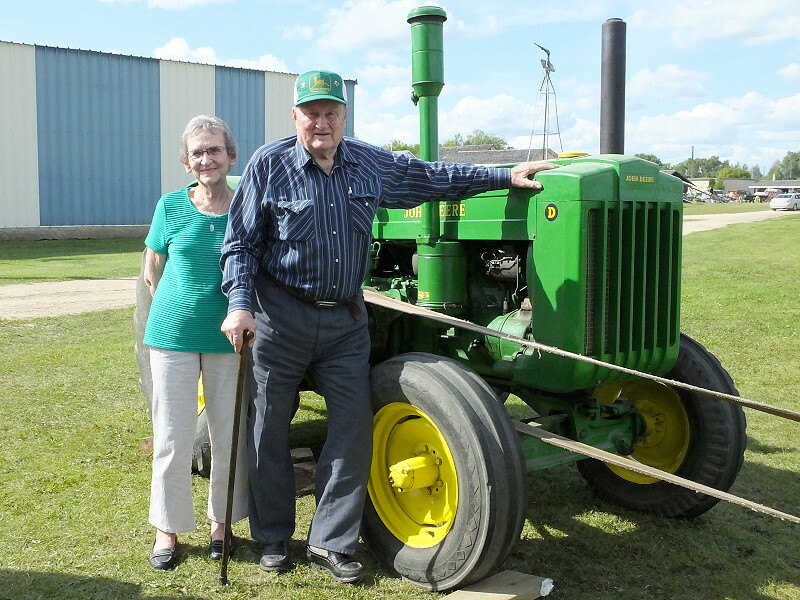 The tractor has been featured in the Chamber of Commerce Parade during the Northwest Roundup and is used at the Harvest Festival to run the thresher.